Monitoring of crops through precision agriculture tools lets you view crop yield variations, with the aid of maps generated by the harvest, combined with soil information and other agricultural practices, intervene in specific locations to correct problems, standardize areas and increase the average productivity of crops. Cost reduction in specific situations. All crops grown by SLC Agrícola have a database with all the managements made over the years. 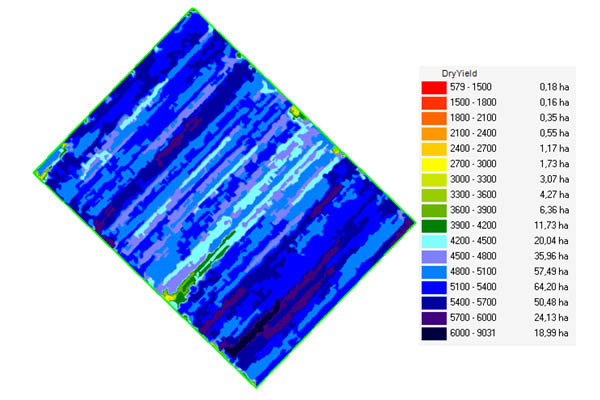 Using satellite images and different harvest yield maps, it is possible to identify crops that have variability. Samplings are carried out for chemical, physical and biological characterization of the soil, together with technical field inspections. Recommendations for applications in variable rate supplies are performed to correct or mitigate problems. 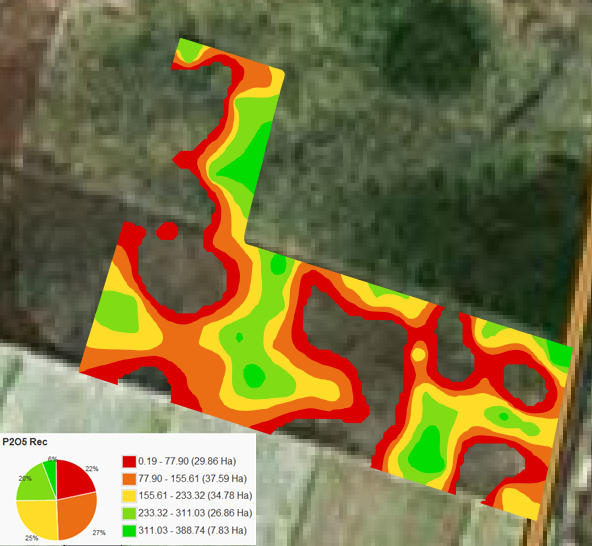 The yield maps in conjunction with the satellite images are the initial information for the plantation monitoring process. 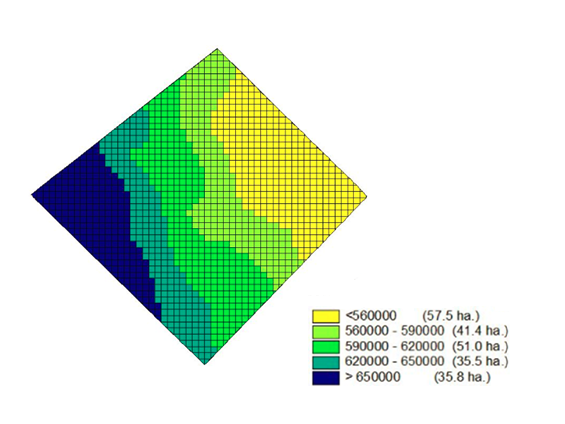 To define the crops which will be prioritized for the use of the precision agriculture tool, we verified if that productivity is variable in space and time, if the cause of the variability can be identified, and if the cause of the variability can be rectified. Productivity below the productive potential. 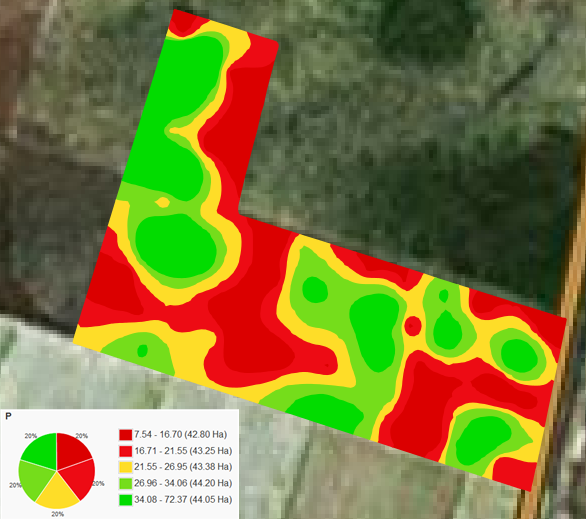 The yield maps are the main information source used by SLC Agrícola to identify variability. Using maps of three crops, we got an accurate diagnosis of the problems that must be corrected. It is possible to notice in the maps some homogeneous zones with a high productive potential, surpassing in soybean 100 sc ha-1, in cotton 400@ ha-1 and in corn 2nd harvest 200 sc ha-1. Soybean yield map, 2014/15 harvest. The use of satellite images and aerial photography enables the identification, throughout the cycle of a crop, problems that can be fixed. We also use it to characterize the history of cultivation and management of new areas in SLC Agrícola. When a crop productivity varies in space and time, we conduct soil sampling by grid (1 sample for every 2 or 3 hectares). This collection is performed with equipment installed in quads. 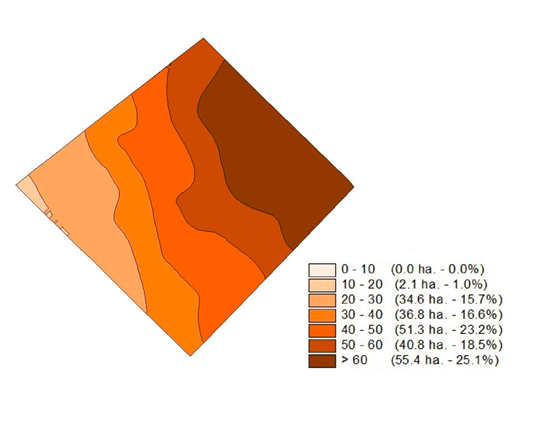 With the results of soil analysis in hand, we perform data interpolation using geostatistical techniques, obtaining soil fertility maps. Once the problem was found, we decided to correct fertility with variable rate application or in limestone, phosphate and potassium chloride management zones. These applications are made by machines using satellite signal to apply the correct dose in each region of the crop. We take into consideration the results of particle size, clay, silt and sand analysis to carry out the planning of supplies and the appropriate recommendation for each crop. We monitor possible problems with soil compaction using ground sensors. Electrical conductivity sensors can indicate possible variations in particle size, moisture and organic matter content and soil nutrients. In specific situations for some crops it is necessary to monitor the occurrence and population of nematodes. 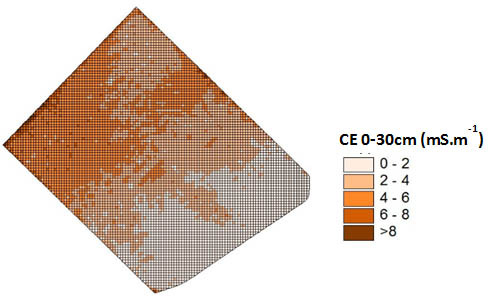 Using grid sampling (georeferenced) you can create nematode maps. 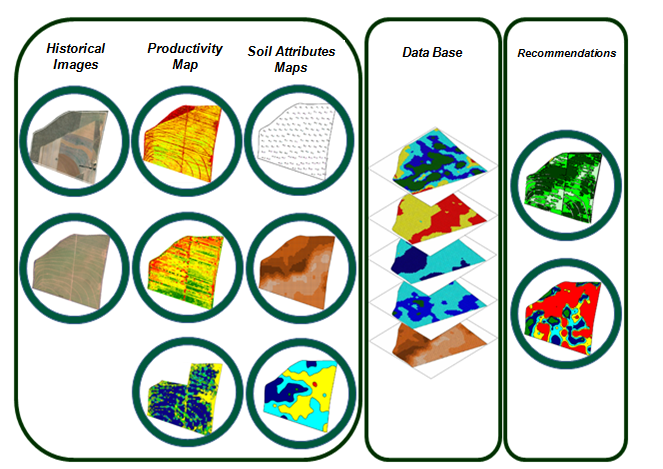 SLC Agrícola is getting prepared for the so-called 3rd green revolution (BIG Data, Data Science, Farm Future, Connected Farm and Precision Agriculture), which involves the collection of geographic field data, visual management and quick and precise decision-making. The aim of having a seed variable rate is to maximize the productive potential of each area of the plantation. This tool can be used when there are variations in particle size of the soil (clay, silt, sand). 6,890 ha planned for the 2016/17 crop.